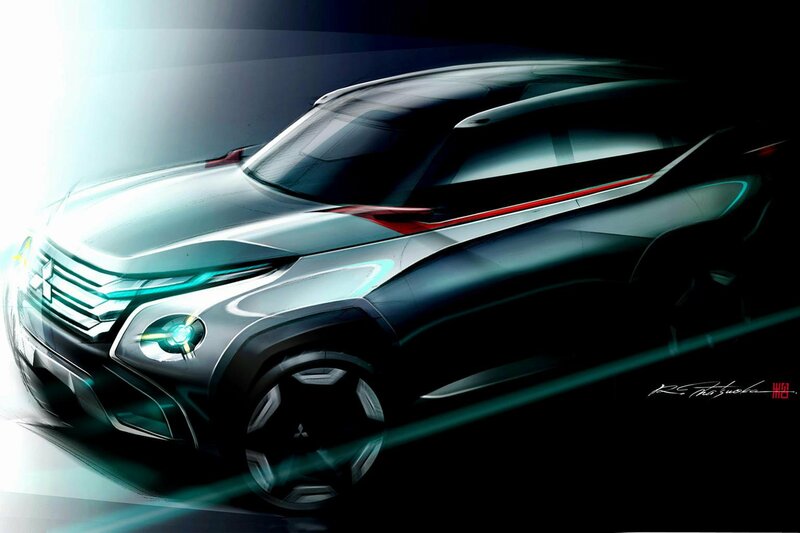 Mitsubishi concepts hint at next-gen models | What Car? Mitsubishi has released teaser images of three new concept cars before their official debuts at the 2013 Tokyo motor show in November. The images show three new designs – the Concept GC-PHEV, Concept XR-PHEV and Concept AR - all of which incorporate SUV styling cues and showcase Mitsubishi’s next-generation hybrid technology. The Concept GC - or Grand Cruiser - PHEV is a full-size SUV with a plug-in hybrid engine, which Mitsubishi claims offers ‘class-leading environmental performance’. The Grand Cruiser is fitted with the company’s permanent four-wheel-drive system, called Super All Wheel Control, which is already available in the Lancer Evolution X saloon. The GC-PHEV is likely to preview the replacement for the ageing Shogun model, which is due within the next few years. The concept will also showcase the brand’s future safety technologies and electronic driver aids. The Concept XR-PHEV is a compact SUV, and like the GC it will be shown in Tokyo as a plug-in hybrid vehicle. The XR - or Cross Runner - concept features new, lightweight engine technologies within a raised coupe body style, which may hint at the styling of the next-generation ASX crossover. The Concept AR, which stands for Active Runabout, is a compact MPV with a downsized turbocharged engine, featuring a flexible seating arrangement. The AR could preview a production car that’s closer in size to the Ford C-Max, rather than a replacement for the discontinued Grandis MPV.